Summer is the perfect time for kids to learn, build, read, explore, play and invent. Regardless of your student’s age, make sure your child has something engaging to do this summer. 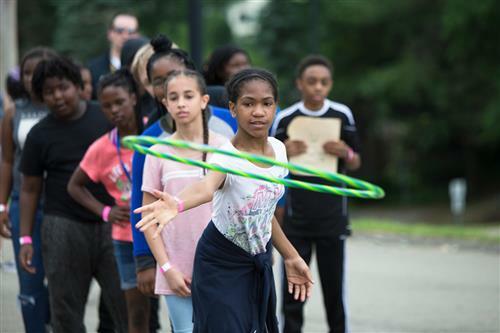 Many summer learning opportunities are available to students in the Pittsburgh Public Schools and at local organization across the city of Pittsburgh. A list of PPS programs is below. For additional summer learning options, please visit The APOST Program Finder. You can search programs by zip code or by keyword, allowing you to find the perfect program by name or the program to your home. Thanks to the Carnegie Libraries of Pittsburgh, all students PreK-12 will have access to books on the PPS summer reading list. The PPS summer reading list will be available in early May. Little Dreamers is not your usual summer program. It is a “summer learning camp” that provides academic and social-emotional support around the transition into kindergarten with the fun of a summer camp. All campers will work on the reading, writing, math, and social-emotional skills that will help them to succeed as they enter kindergarten. Campers have fun and exciting academic classes in the morning and participate in enrichment and social interaction activities in the afternoon. All of our enrichment activities will have a STEAM (Science, Technology, Engineering, the creative Arts, Mathematics) focus. *School bus transportation is not available at Pittsburgh Children's Museum location. Summer Dreamers Academy is a no-cost, award winning summer learning camp that offers high-quality academic lessons in English-Language Arts and Mathematics and exciting and engaging enrichment activities to PPS students who have completed grades K-8. Gain skills in reading and math. Develop a passion for and excitement about learning. Build confidence by discovering new strengths, and by developing a more positive sense of self through an environment filled with a positive culture of fun and learning. Develop perseverance by attempting new things and by striving to improve. The CAS Summer Dreamers’ program is designed for students on the verge of being eligible for CAS courses their freshman year of high school. The four-week program will help prepare your student to enroll in both the CAS English I and CAS Civics class for the 2019-2020 school year upon successful completion of the summer program. CAS classes are honors level courses. Students must be enrolled in a PPS school their 8th grade year to be eligible. The program is for students who are in the 8th grade and have a GPA of at least a 2.75 or higher and whom scored a high basic on the 7th grade ELA PSSA scale score of at least 950. Eligible students are rising 9th through 12 grade students. Download the brochure to learn more information.